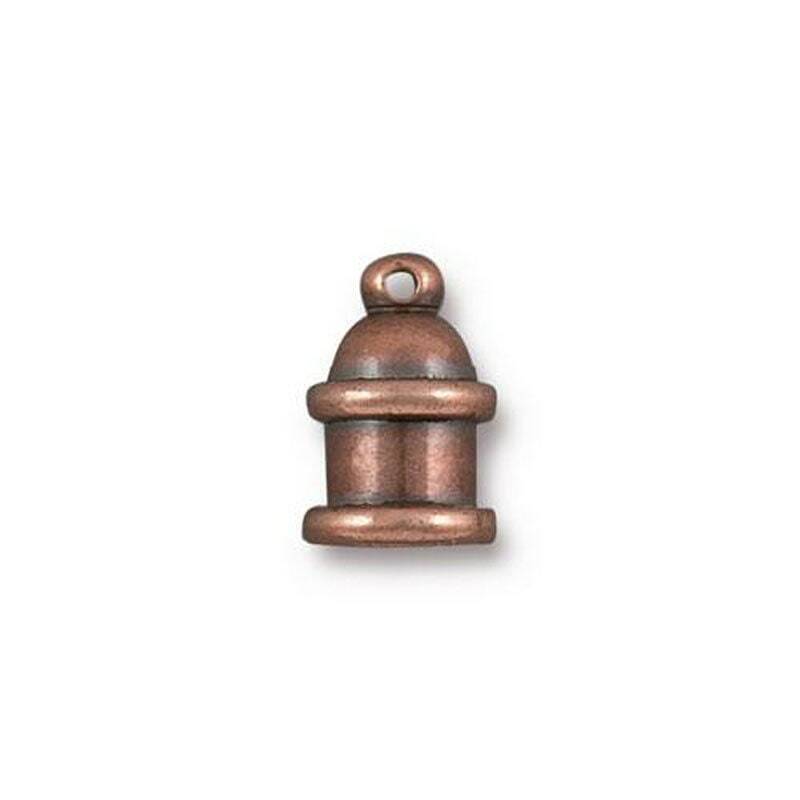 Pagoda style cord ends, antique copper plated, brass. These cord ends have a recessed channel around the outside - add your own embellishment, such as bead weaving or loom work, or leave as is. You will receive 2 cord ends, one set.